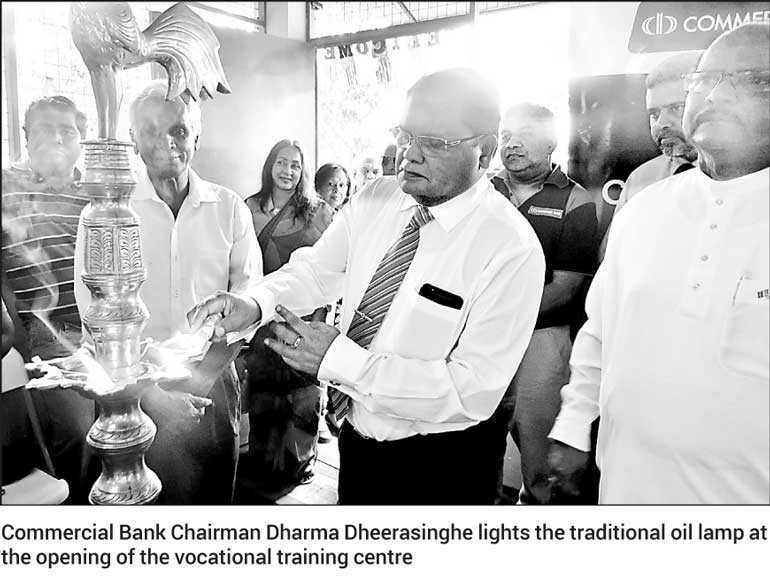 The construction of Sri Lanka’s first model vocational training centre for children and youth with autism was recently completed with financial support from the CSR Unit of the Commercial Bank of Ceylon and the Lions Club District 306-C-1. This Development Centre for Children and Youth with Autism was built in Pilimathalawa, Kandy, in response to a proposal put forward by Sri Lanka Parents Association of Autistic Children (SLPAAC) for a facility for teaching skills to autistic children and youth that would enable them to live independently, and provide job opportunities to unemployed youth living in the vicinity. Founded in 2010 by parents of children with autism from all over the country, SLPAAC has 1,200 members. The Association periodically holds autism awareness programs to create a public consciousness about this special need. Among other things, the SLPAAC has also hosted an exhibition demonstrating the artistic talents of autistic children, and organises recreational activities and get-togethers for them. Commercial Bank’s CSR projects, directed by the Bank’s CSR Trust, predominantly encompass the fields of IT literacy, education, sustainability and health. Over the years, the Bank has made an immense contribution towards the Sri Lankan education system by donating over 175 IT laboratories to needy schools, awarding of scholarships to 350 undergraduates, launching the revolutionary online learning platform ‘Sipnena’, initiating a math lab program, sponsoring vocational training through career guidance units, providing English language training for both students and teachers, and by partnering the ‘Smart Schools’ initiative to transform the traditional classroom model. In the area of health, the Bank has provided infrastructure and critical care equipment to over 50 children’s, maternity and general hospitals owned by the government. Improving antenatal, neonatal and paediatric healthcare facilities has been the focus of these efforts. The Bank’s health related CSR initiatives also encompass supporting initiatives for and research into the prevention of chronic kidney disease (CKDu). In December last year, the Bank announced the adoption of vocational training for school leavers as the next community cause it will champion on a national scale, in a logical progression of its commitments to computer literacy and online education. Recognising the need to provide viable employment options to the many thousands of students that do not progress to higher education in Sri Lanka each year, as well as the growing dearth of trained artisans in the labour force, the Bank said it would work with the Ministry of Education and private sector partners to advocate the dignity of skilled labour and provide opportunities for training and placement.